I am in love with all children's books right now and am always looking for great books for The Buddy. Here are a few of my favorites right now. First is The Tickle Monster Kit by Suzanne Kaufman. The kit comes with a hardback book, a pair of tickle mits and a cool box to carry it all. 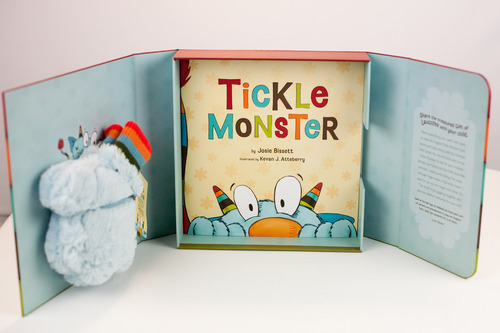 The tickle mits are complete with finger holes so you can easily turn the pages. Beware of lots of giggles! The Buddy will love this story and wearing the mits himself. This is at the top of our book list this Christmas! The Newest Kit from Suzanne Kaufman is I love Monkey Discovery Kit. A Mom's Choice Award recepient; the I love Monkey kit is also on our list this year. 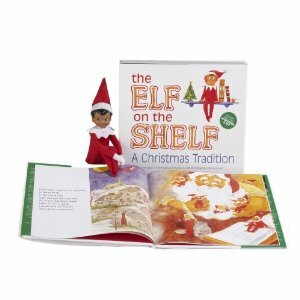 As mentioned in THIS post, The Elf on the Shelf is now a tradition in most homes. I am eager to begin this tradition when The Budy is old enough to get it. If you haven't seen it, check out the website here. 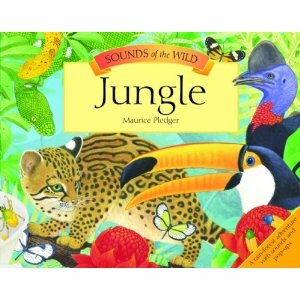 Lastly, The Buddy LOVES his Sounds of the Wild book by Maurice Pledger. It is a unique pop up that has survived his many uses. Our favorite part is the realistic sounds on every page. We plan to get several more this Holiday season. I am also adding this to my gift list for The Buddy's friends. I would love to know what books you are buying for your Buddy. I literally buy books every weekend for my classroom and The Buddy. I am always up for a new good book! One of my all time favorite books as a "boy mom" is "I Love You, Stinky Face" by Lisa McCourt. My son is 11 years old now, but it's still one of his favs. It's a story of a little boy who creatively uses his imagination to not only stay up later, but also to test his mother's love for him. It's a fantastic story of how a mother's love will never waver.